A rule change by FAA in July 2018 allowed all licence holders to maintain their Instrument Rating in a ATD, FTD or a Full Flight Simulator without the need for an Instructor to be present. This is welcoming news as it means maintaining IR currency is so much cheaper and easier now. I’ve already reached out to several simulators in Singapore for enquires about their rates. I reached out to them in July or August 2018 and have yet to hear back from them. This post will be updated once I get their reply! In the meantime, if you know of any simulators in Singapore available for hire, do let me know or leave a comment below! Due to a December 2016 change to FAR Part 61 Section 61.57, the conventional wisdom that your Instrument Rating is valid for 6 months is no longer true. Here’s and extract of the document. 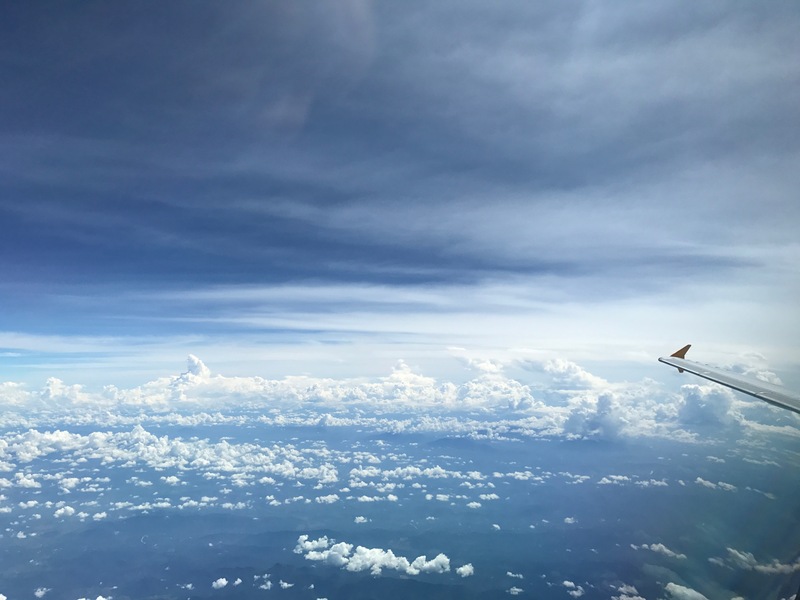 (iv) Two unusual attitude recoveries while in a descending, Vne airspeed condition and two unusual attitude recoveries while in an ascending, stall speed condition. (v) Interception and tracking courses through the use of navigational electronic systems. That is a whole bunch of complicated reading to take in. So here is a summary. For most RSAF pilots with FAA licences, if you are expecting to join an airline within 2 years, you would be keeping your instrument ratings current with the use of “an aviation training device”, or Part Task Trainer (PTT), by flying the required tasks every 6 months. Prior to December 2016, that was fine, and your IR would have remained current. But with the recent change in the FAR rules, in do your PTT flights every 6 months, you would have rendered your Instrument Rating invalid. However, if your IR has expired, but has not expired for more than 6 calendar month, you can simply make an appointment with the FAA instructor in Singapore and do the required “tasks, iterations and time” on the PTT. (d) Instrument proficiency check. Except as provided in paragraph (e) of this section, a person who has failed to meet the instrument experience requirements of paragraph (c) for more than six calendar months may reestablish instrument currency only by completing an instrument proficiency check. The instrument proficiency check must consist of the areas of operation and instrument tasks required in the instrument rating practical test standards. And to do the Instrument Proficiency Check, you need to fly a real aircraft with a CFI. Which means you will likely need to make a trip to Trumpland. Mr Ace Pilot completed his FAA ATP flight test on 15 February 2016. And since the FAA ATP flight test will also act as the Instrument Proficiency Check, Mr Ace Pilot is able to fly as PIC under IFR conditions all the way till the last day of April 2016. First scenario. Mr Ace Pilot is about to join an airline. So he keeps his IR current by doing his requirements in the PTT in April 2016, June 2016, August 2016, October 2016. He has just kept his IR currency valid all the way till 31 December 2016. Second scenario. Mr Ace Pilot forgets about it and on 28 June 2016, he receives a call from an Airline about employment with the airline. Since its only been 5 calendar months since his FAA ATP test, he then schedules and does his Instrument requirements in the PTT on 30 June 2016. His IR is now valid until the last day of August 2016. Third Scenario. Mr Ace Pilot forgets about it and on 31 December 2016, receives a call from an Airline about employment. Since its been 10 calendar months since his FAA ATP test, he then needs to rent his way into a FAA registered Multi-Engine, hire a FAA CFI to carry out an Instrument Proficiency Check. Depending on your situation, and how soon you expect to transit into Singapore registered airline, either the First or Second scenario would be the most economical options. Question: Can’t we clock the Instrument Flying requirements in our F-16D+ or KC-135? The FAA doesn’t define, and does say that the “Use of an airplane, powered-lift, helicopter, or airship for maintaining instrument experience” can’t be an RSAF Fighter or Transport aircraft. So technically, in the eyes of the FAA, you can keep your FAA IR current if you clock your required events and hours in a RSAF aircraft. HOWEVER, based on precedence, CAAS does not agree with that practice. CAAS wants these instrument events to be flown in a FAA registered aircraft or device (or the PTT). So while FAA is happy with your IR currency, you would run into trouble when submitting your Foreign Licence Conversion Application Form CAAS FC-02. Yes argue all you want about jurisdiction, argue all you want with the FAR publications. The easier way to get that done is to keep your IR current in the PTT. If your IR does expire, do not let it expire for more than 6 months (i.e. 8 calendar months from your last IR flights). Otherwise, it will cost a lot more to get it recurrent, since you need to fly an Instrument Proficiency Check. Hi CPT ONG, if i get my FAA CPL in the states, where do i find a PTT in SG to keep current and what is the price? sorry, i do not know of any service providers at this point of time. where do i find a part task trainer if i do not remain current on my IR and what are the costs involved? Hi Capt Ong, based on the previous comment, how then do we keep the FAA IR current while waiting for employment from airlines? With only 2 months/6 months, surely it’s not enough to secure employment with local airlines? Hi Capt Ong, any suggestions on how to maintain a FAA instrument rating currency in our region using aeroplanes? Also, are there flight simulators in Singapore that is available to be used for maintaining instrument rating currency?